"Tim Powers" shares the pseudonym "William Ashbless" with writer "James P. Blaylock"
2012 marks the 40th anniversary of the first San Diego Comic-Con to be hosted at the legendary El Cortez Hotel. That con, which was held August 18-21, 1972, set the pattern for a string of memorable Comic-Cons throughout the rest of the ’70s, all of which, with one exception, were at the El Cortez. For many longtime attendees, the El Cortez cons are a fondly-remembered golden age of Comic-Con. To coincide with this year’s El Cortez Comic-Con anniversary, some early Comic-Con co-founders and committee members agreed it would be a fine idea to have a new “old-school” San Diego comic convention and thus was born the San Diego Comic Fest. The Fest intends to bring creators and fans closer together, to create an environment of creative exchange in a fun, inclusive environment, much as the El Cortez-era Comic-Cons did. The San Diego Comic Fest is the new "old-school" comic convention, which aims to capture the camraderie and good feeling of fan gatherings and conventions of yesteryear. Announced guests include Tim Powers, Greg Bear, David Brin, and Vernor Vinge. Mysterious Galaxy will be among the merchants gathered in the environs of the Town and Country Hotel. Learn more about the event at: sdcomicfest.org. Mysterious Galaxy will be taking part in WonderCon 2012 in its temporary home in the Anaheim Convention Center, in Booth #900 in the Exhibitor’s Hall. In addition to the Exhibit Hall featuring comics and items from the many worlds of the popular arts, WonderCon offers exclusive programming from the top comics publishers in the country, movie and television panels, anime, autographs, games, the Masquerade, and portfolio review Join us and authors Ernest Cline, Richard Kadrey, Christopher Farnsworth, Amber Benson, Naomi Novik, Ransom Riggs, Lissa Price, Ann Aguirre, Tim Powers, Greg Van Eekhout, Gretchen McNeil, and more! Watch this page on our website for more information and our author signing schedule. Two-time World Fantasy and Locus Fantasy Award winner and master of secret histories, Tim Powers brings elements of the supernatural to his fact-driven historical fiction. Powers, a voracious reader and researcher of history, looks for “wobbles” in historic events to use as the cornerstones of his story-building. Hide me among the graves, Powers’ 14th novel, mixes incidents surrounding the vampiric ghost of John Polidori, poet Christina Rosetti, and vampires in 1862 London. Dirk Maggs, Guest of Honour. ; Jon Courtenay Grimwood, Guest of Honour. ; Tim Powers, Guest of Honour. ; David Lloyd, Guest of Honour. ; Eoin Colfer discusses And Another Thing. Tim Powers's book Hide Me Among the Graves was available from LibraryThing Early Reviewers. 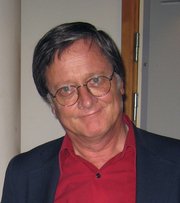 Tim Powers is currently considered a "single author." If one or more works are by a distinct, homonymous authors, go ahead and split the author. Tim Powers is composed of 5 names. You can examine and separate out names.